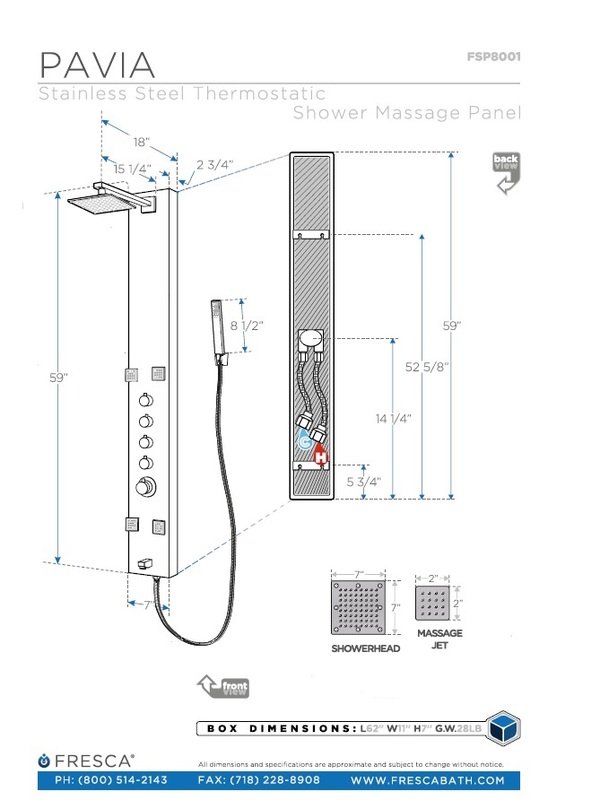 This thermostatic shower massage panel will bring the ultimate in showering experiences. An overhead and a hand held shower provide bathing functions and the four massage jets adjust to give a relaxing and soothing massage. The panel itself is made of stainless steel. 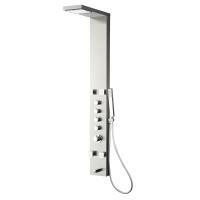 Material: This shower panel is constructed of stainless steel. Stainless steel is a very pure form of steel and is used to make anything that requires resistance to chemicals and frequent cleaning. Just like regular steel, stainless can be bent cut and welded into any shape and also comes in a variety of standard shapes and thicknesses. Shipping: Free Shipping via FedEx Ground 7 - 10 Business Days; this faucet will be delivered to your door with a signature required. It is your responsibility to inspect the item thoroughly upon delivery and notify us within 3 business days of any freight damage.